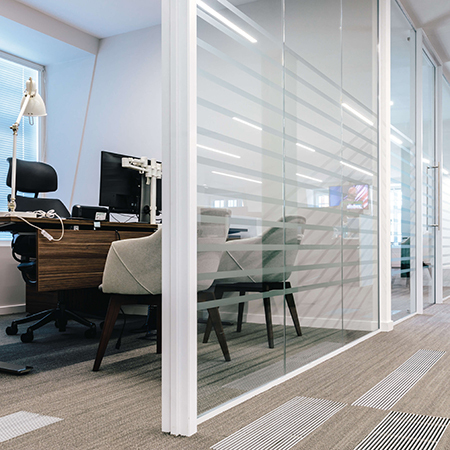 AET Flexible Space engineers have completed a Cat-B fit-out of underfloor air conditioning equipment on the 5th floor of 180 Great Portland Street for new incoming tenant, strategic communications specialist, Sard Verbinnen & Co. 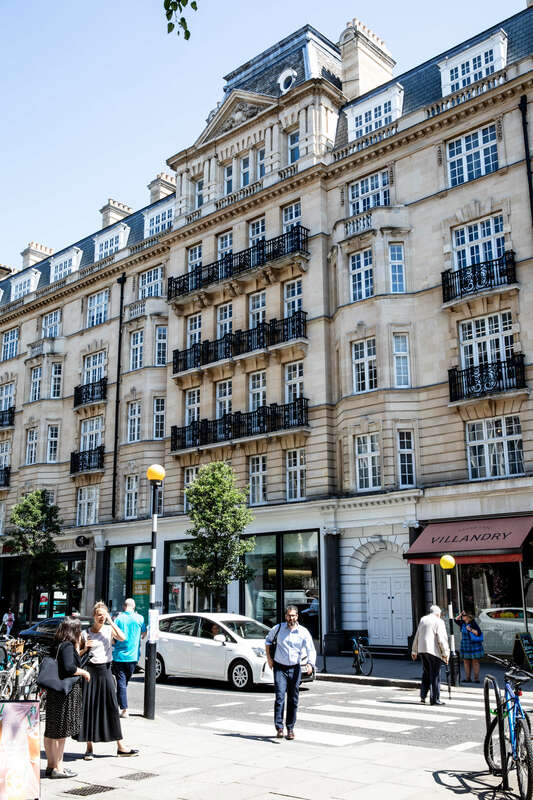 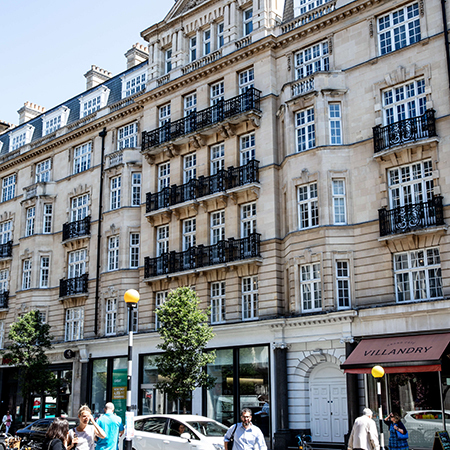 The system installed throughout the six floors at 180 Great Portland Street is a CAM-C chilled water system with underfloor supply air and underfloor return air. 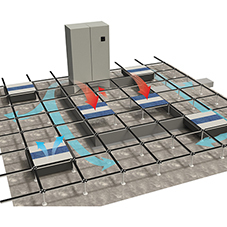 The CAM-C downflow unit supplies conditioned air into the plenum beneath the raised access floor, which serves as the ventilation zone as well as space for power and IT distribution. 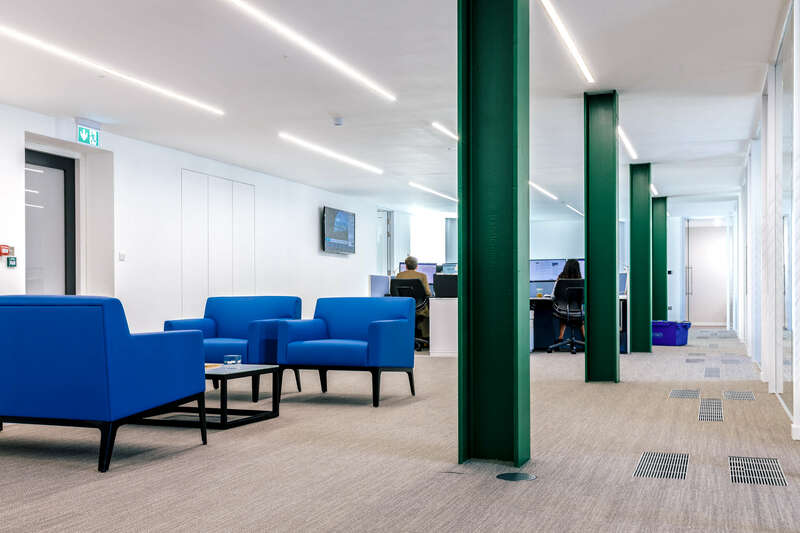 This zone is divided into supply and return air paths using airtight relocatable baffle, the CAM receiving spent air back at floor level for re-conditioning, allowing for the total elimination of services located in the ceiling. 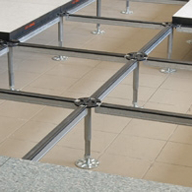 Conditioned air is fed into the workspace using modular, relocatable TU4 Fantile units. 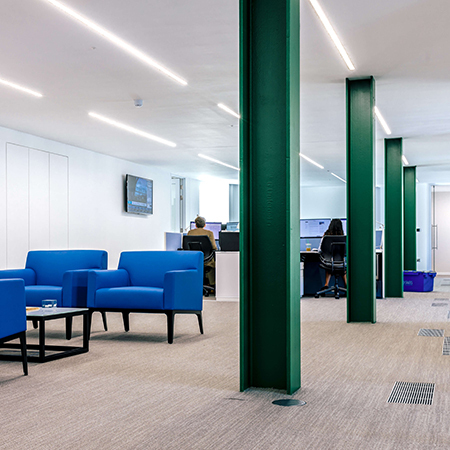 AET supplied and installed additional equipment for the Cat-B fit-out on the 5th floor. 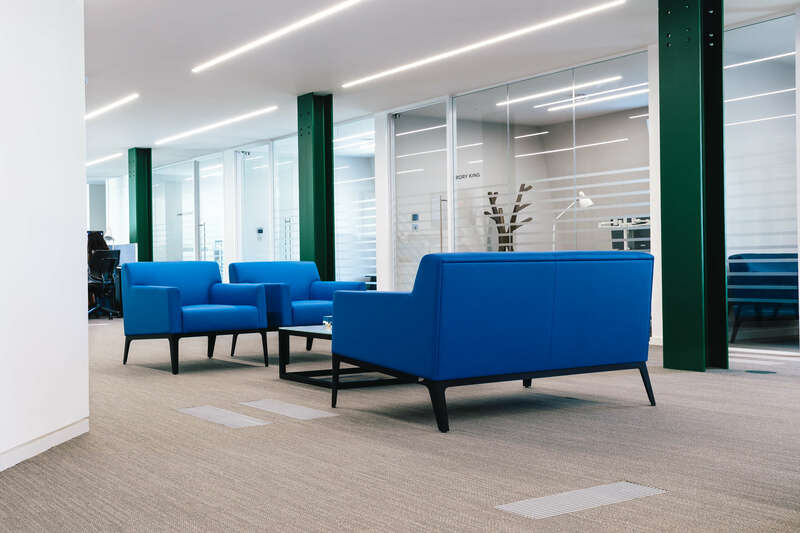 This included additional fan terminals, return air grilles and underfloor air segregation baffle to accommodate the additional cooling requirements and cater to the new workspace layouts defined by the incoming tenant. 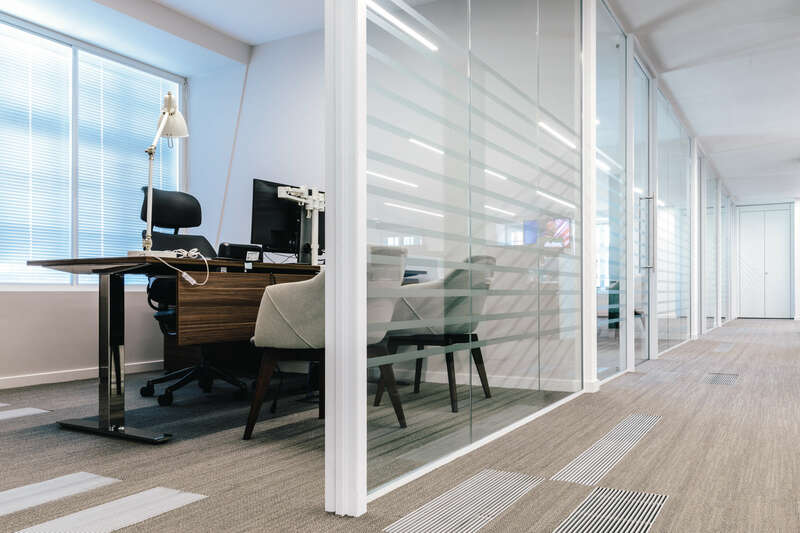 The client also opted to install sound attenuator boxes beneath the grilles to minimise noise transfer between the open plan workspace, meeting rooms and Director’s offices. 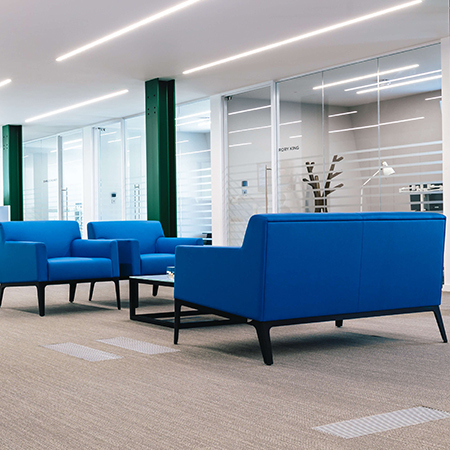 User control of the underfloor air conditioning system is enhanced by the addition of seventeen wall mounted Flextouch controllers, permitting remote temperature and fan speed adjustment of the Fantiles without having to physically access the integrated controller within the unit. 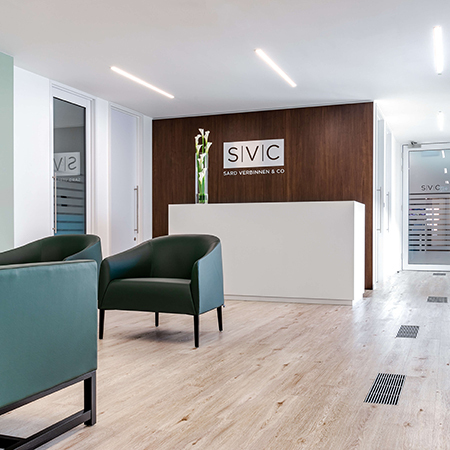 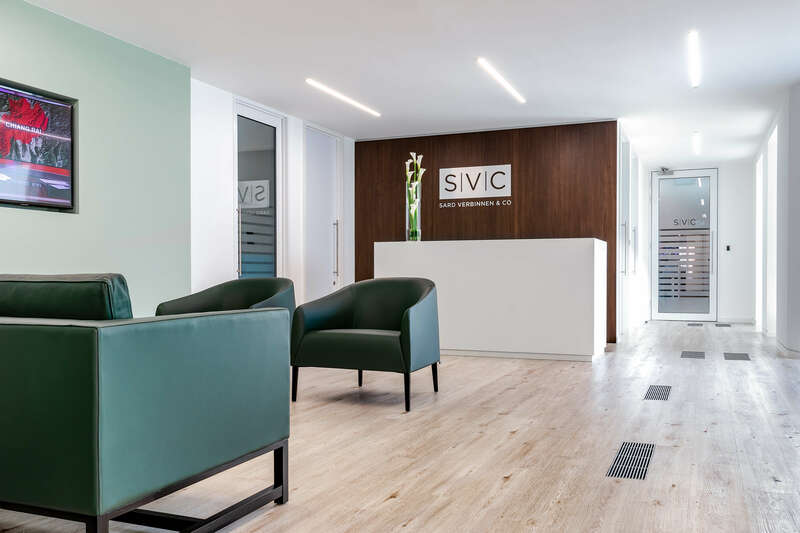 The fit-out works were handed over and new tenant SVC occupied the space early this month and the final result is fabulous high end, comfortable modern workspace.